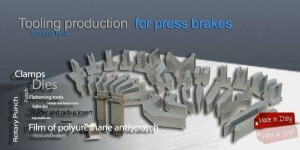 Tecnostamp was born in Piacenza in 1984 and was one of the first companies in Italy producing punches, dies and accessories for hydraulic press brakes. 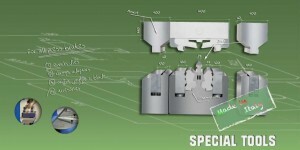 The processing of the product Tecnostamp identifies two main processes, the standard product and special product. With regard to the first, the tools that are produced in series are standard, they are in the catalog and have availability of stock with a fixed price. 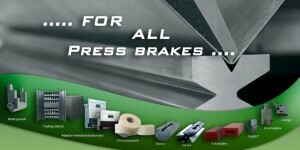 Unlike special tools are made on the specific request of the customer. The price is calculated based on the time of production, to the material and complexity. Tecnostamp collaborates with leading companies to provide complete, integrated solutions that support the business objectives of the company. The experience gained over the years has allowed us to propose new solutions and new services, thanks to a highly qualified staff in the planning and implementation of products. After years of promotion, our international sales have grown fastly and now we have agents in over 40 countries worldwide..